بررسی عملکرد شبکه‌های توزیع آب در فاز طراحی و بهره‌برداری در بهینه‌سازی این شبکه‌ها اهمیت فراوانی دارد. از جمله شاخص‌های برآورد عملکرد این شبکه‌ها، شاخص قابلیت اعتماد است که نشان‌دهنده توانایی شبکه برای رساندن آب کافی با کیفیت مناسب به مصرف‌کنندگان در زمان مناسب است. قابلیت اعتماد از جنبه‌های گوناگون مکانیکی، هیدرولیکی و کیفی در شرایط عادی و غیرعادی مانند وقوع انواع شکست‌های مکانیکی و هیدرولیکی قابل بررسی است. در این پژوهش قابلیت اعتماد هیدرولیکی از جنبه برآورده شدن میزان تقاضای گرهی مورد ارزیابی قرار گرفت. به این منظور، ابزار شبیه‌سازی مبتنی بر فشار بر پایه الگوریتم EPANET-IMNO توسعه داده شد و در محیط Visual Studio به زبان C++نوشته شد. همچنین قابلیت اعتماد مکانیکی با استفاده از روش نمودارهای تصمیم‌گیری دودویی از جهت احتمال ارتباط گره‌های مصرف شبکه با گره‌های منبع مورد بررسی قرار گرفت. نرم‌افزارهای DNA و RNA برای محاسبه قابلیت اعتماد مکانیکی بر مبنای روش نمودارهای تصمیم‌گیری دودویی استفاده شدند. در نهایت قابلیت‌ اعتماد تلفیقی هیدرولیکی و مکانیکی شبکه به‌منظور طراحی هرچه بهتر شبکه توزیع آب ارائه شد. شبکه توزیع آب حلقوی 9 گره‌ای و همین‌طور شبکه توزیع آب شاخه‌ای برای مقایسه و ارزیابی روش ارائه شده، در نظر گرفته شد. نتایج این پژوهش نشان‌ می‌دهد که ارزیابی شاخص قابلیت‌ اعتماد مکانیکی در فاز طراحی و حلقوی کردن شبکه‌ها به بهره‌برداری بهینه از آن‌ها و افزایش قابلیت اعتماد تلفیقی هیدرولیکی و مکانیکی شبکه کمک شایانی می‌نماید. به‌طوری که با ایجاد 4 حلقه در شبکه توزیع آب شاخه‌ای به میزان 3/18 درصد به قابلیت اعتماد کلی شبکه افزوده خواهد شد. در مورد شبکه توزیع آب حلقوی نیز عدم وجود یک لوله در شبکه در بدترین وضعیت، کاهش قابلیت اعتماد حدود 28 درصد را در پی خواهد داشت. Network reliability is one of the most important parameter when evaluating the efficiency of water distribution networks (WDNs). WDN reliability is calculated based on the mechanical, hydraulic and water quality aspects under normal and also abnormal conditions such as system failures. In this paper, hydraulic reliability was calculated through the ratio of satisfied nodal demands. In this regard, hydraulic simulation is performed based on the proposed EPANET-IMNO algorithm based on a Pressure-Driven Simulation model. This algorithm is written in Visual Studio through C++ code. The mechanical reliability of the network was evaluated by means of BDD algorithm based on probability of having a connection between the source nodes and consumption nodes. DNA and RNA tools are used to evaluate the mechanical reliability based on BDD method. Finally, an integrated reliability is proposed for optimum design and operation of WDNs. A looped WDN with nine nodes and a branched WDN were considered in this paper. The results showed that besides the hydraulic reliability the evaluation of mechanical reliability index is very important in the design of WDN to improve the operation of WDNs. Adding 4 loops to the branched WDN increased its reliability by 18.3%. Also, it was determined that under a looped WDN eliminating one pipe in the worst case may reduce the network reliability by28%. Abunada, M., Trifunović, N., Kennedy, M. & Babel, M., 2014, "Optimization and reliability assessment of water distribution networks incorporating demand balancing tanks", Procedia Engineering, 70, 4-13. Al-Zahrani, M. A. & Laiq Syed, J., 2005, "Evaluation of municipal water distribution system reliability using minimum cut-set method", Journal of King Saud University, Engineering Sciences, 18(1), 67-82. Ataouni, R. & Ermini, R., 2014, "Overall reliability assessment of water distribution system", Procedia Engineering, 89, 1282-1291. Bobbio, A., Terruggia, R., Ciancamerla, E. & Minichino, M., 2008, "Evaluating network reliability versus topology by means of BDD algorithm", In: PSAM-9, Hong Kong. Chandramouli, S. & Malleswararao, P., 2011, "Reliability based optimal design of a water distribution network for municipal water supply", International Journal of Engineering and Technology, 3(1), 13-19. Cheung, P., Zyl, J. V. & Reis, L., 2005, "Extension of EPANet for pressure driven demand modeling in water distribution", Proceedings of CCWI2005- Water Management for the 21st Century, Centre for Water Systems, University of Exeter, Exeter, UK, September 5-8, 215-226. El-Jumaily, K. K. & Radi, A. H., 2005, "Reliability analysis of water distribution systems", Tikrit Journal of Engineering Sciences, 12(3), 22-52. Gavrila, C., Vartires, A., Gruia, I. & Ardelean, F., 2013, "Reliability analysis of water distribution systems", Proc. of 4th Conf. Recent Advances in Energy, Environment, Economics and Technological Innovation, Paris, France. Geem, Z. W., 2015, "Multiobjective optimization of water distribution networks using fuzzy theory and harmony search", Water, 7(7), 3613-3625. Guidolin, M., Burovskiy, P., Kapelan, Z. & Savic, D. A., 2010, "CWSNet: An object-oriented toolkit for water distribution system simulations", Proceedings of the 12th International Conference on Water Distribution System Analysis Conference, WDSA2010, ASCE, 12-15 September, Tucson, 1-13. He, P., Tao, T., Xin, K., Li, S. & Yan, H., 2016, "Modeling water distribution systems with deficient pressure: An improved iterative methodology", Water Resources Management, 30(2), 593-606. Ostfeld, A., 2004, "Reliability analysis of water distribution systems", Journal of Hydroinformatics, 6(4), 281-294. Ostfeld, A., 2012, "Optimal reliable design and operation of water distribution systems through decomposition", Journal of Water Resources Research, 48, W10521. Ozger, S. S. & Mays, L. W., 2003, "A semi-pressure-driven approach to reliability assessment of water distribution networks", PhD Thesis, Arizona State University, Arizona, USA. Pathirana, A., 2010, "EPANet2 desktop application for pressure driven demand modeling", Proceedings of the 12th International Conference on Water Distribution System Analysis Conference, WDSA2010, ASCE, 12-15 September, Tucson, 65-74. Shirzad, A., Tabesh, M., Farmani, R. & Mohammadi, A., 2013, "Pressure-discharge relations with application to head driven simulation of water distribution networks", Journal of Water Resources Planning and Management, 139(6), 660-670. Shirzad, A. & Tabesh, M., 2016, "New indices for reliability assessment of water distribution networks", Journal of Water Supply: Research and Technology-AQUA, 65(5), 384-395. Shuang, Q., Zhang, M. & Yuan, Y., 2014, "Performance and reliability analysis of water distribution systems under cascading failures and the identification of crucial pipes", PLoS ONE 9(2), doi:10.1371/journal.pone.0088445. Tabesh, M., 1998, "Implications of the pressure dependency of outflows on data management, mathematical modeling and reliability assessment of water distribution systems", PhD Thesis, Civil Engineering Department, University of Liverpool, UK. Tabesh, M., 2015, Advanced modeling of water distribution networks, University of Tehran, Tehran, Iran. 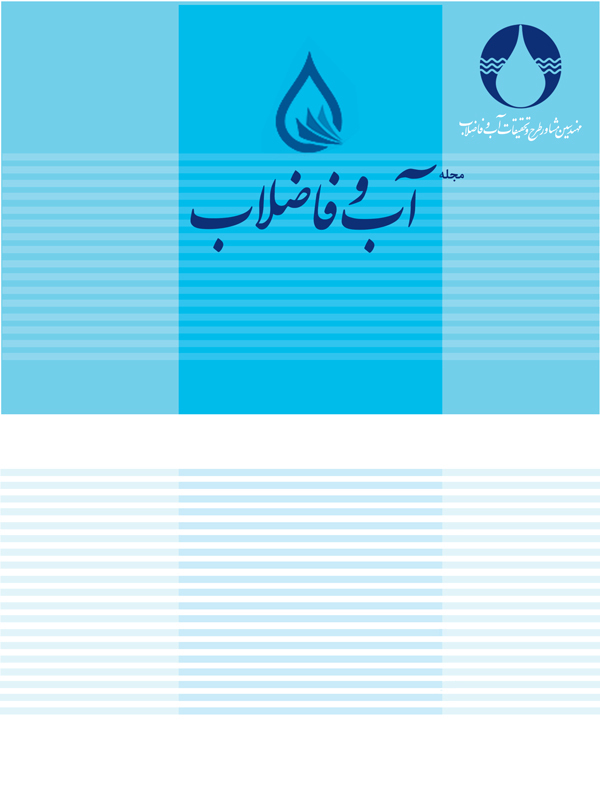 Tabesh, M., Shirzad, A., Arefkhani, V. & Mani, A., 2014, "A comparative study between modified and available demand driven based models for head driven analysis of water distribution networks", Urban Water, 11(3), 221-230. Tabesh, M., Tanyimboh, T. T. & Burrows, R., 2002, "Head driven simulation of water supply networks", International Journal of Engineering, Transactions A: Basics, 15(1), 11-22. Terruggia, R., 2010, Reliability analysis of probabilistic networks, Department of Computer Science, University of Degli Studi di Torino, Italy. Wagner, J., Shamir, U. & Marks, D. H., 1998, "Water distribution reliability: Simulation methods", Journal of Water Resources Planning and Management, 114(3), 276-294. Xing, L., 2008, Dependable network analyzer, Developed by Akhilesh Shrestha, University of Massachusetts, Dartmouth. Yannopoulos, S. & Spiliotis, M., 2013, "Water distribution system reliability based on minimum cut set approach and the hydraulic availability", Water Resources Management, 27(6), 1821-1836.